Candidates up at dawn, waving signs on street corners, still planting campaign signs, trying to get through the day to their cheers-or-tears parties tonight. 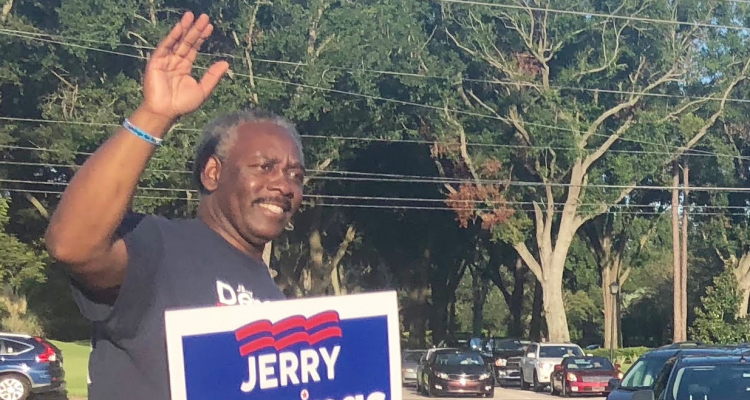 Orange County could elect a new mayor — and Jerry Demings is predicting a win — and a new chair of the Orange County School Board along with at least four new School Board members, as well as three or four new Orange County commissioners. Demings’ optimism is matched by confidence from his opponents that Demings won’t get the outright majority of votes he will need to be elected Tuesday. 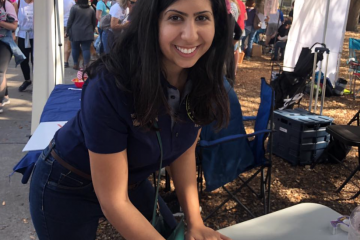 In that scenario, and in similar scenarios for the other multicandidate, nonpartisan races determining Orange County’s leadership, there would be runoff elections on Nov. 6. 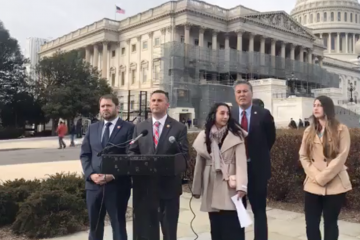 This could be the day that U.S. Rep. Darren Soto‘s congressional career ends, or it could be when his Democratic primary rival former U.S. Rep. Alan Grayson finds out the times have moved past when his bombastic personality was embraced by Florida’s 9th Congressional District voters. It will certainly be the day in which Republicans decide who they want, most likley state Rep. Mike Miller or Scott Sturgill, to send to take on incumbent Democratic U.S. Rep. Stephanie Murphy in Florida’s 7th Congerssional Distirct; who Florida House District 44 Democratic voters in west Orange County want, former state Sen. Geraldine Thompson or activist Melanie Gold, to send against Republican state Rep. Bobby Olszewski; and who Republican voters want, Mikaela Nix or Stockton Reeves VI, to go up against Democrat Anna Eskamani for the open seat for Florida House District 47. 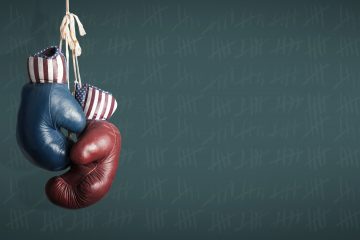 Also on the line: Republican state Rep. Rene Plasencia‘s re-election bid in the east-Orange and north-Brevard counties’ House District 50 against primary challenger George Collins; northeast Brevard County voters’ choice, Henry Parrish or Tyler Sirois, for a Republican to run for state Rep. Tom Goodson‘s old seat in the Republican-rich House District 51. That’s why candidates such as Orange County School Board chair candidate Nancy Robbinson, who has been on the board since 2008, was making last-minute runs early Tuesday to pick up and distribute more yards signs as last-minute opportunities arose, in her battle with Orange County Mayor Teresa Jacobs, and educators Robert Prater and Matthew Fitzpatrick. That’s why Soto is planning an ambitious last-day of campaigning that has 17 stops on his schedule for Tuesday, visiting voting locations in CD 9’s areas in Polk and Osceola counties in a whirlwind of 20-minute visits wih voters, before the day ends with his watch party in Kissimmee. 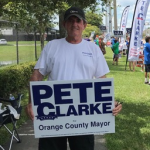 That’s why he and most other candidates such as Orange County mayoral frontrunner Orange County Sheriff Demings and his opponents Orange County Commissioner Pete Clarke and businessman Rob Panepinto were out waving signs and meeting with voters as the sun rose Tuesday. Demings tipped his cap to voters but also predicted victory. But Clarke and Panepinto have their own optimism, not necessarily for a win Tuesday, but for at least not losing on Tuesday. 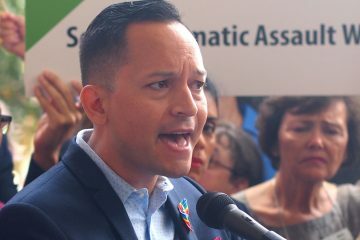 Panepinto said the voters he and his campaign are hearing from are filling him with confidence that the large undecided pool showing up in polls until recently is finally engaging and breaking his way, especially after the debates and the controversy this month about school safety resource officers. They shall see tonight, as Clarke and his campaign hold their watch party at the Gallery At Mills Park in Orlando’s Mills 50 District, Demings holds his at the Florida Hotel and Conference Center’s Heroes Ballroom, and Panepinto holds his at The Brewstillery in Winter Park. Among others, Soto’s party is planned for the Ramada Gateway Hotel in Kissimmee. Miller’s is set for Miller’s Ale House on Lee Road in Winter Park. Robbinson’s will be at the LOCAL Bar & Grill in College Park.